Despite several changes in the opposite corner, Danny ‘Maxi’ Hughes (12-1-1, 2KO) will finally get an opportunity to make a mark on to the super-featherweight scene on Friday. 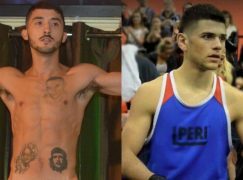 The half-Welsh southpaw will co-headline Coldwell Boxing’s ‘In The Line Of Fire’ show at the Sheffield Ice Arena against Kakhaber Avetisian (35-23-1, 17KO), who holds wins over Andreas Evensen and Guillaume Salingue. Speaking of his step up, Hughes said, “I want to fight at a high level because I’m doing it in the gym. I’ve not really had the opportunity to show it in a fight but now I have and that’s what I need to do to move up the rankings.” Hughes had been originally scheduled to face Olympian Joe Murray and then one-time world title challenger Joseph Laryea but both boxers withdrew, the latter left the matchmaker without a lot of time to find a replacement but Avetisian comes to the contest on the back of a knockout victory in July. 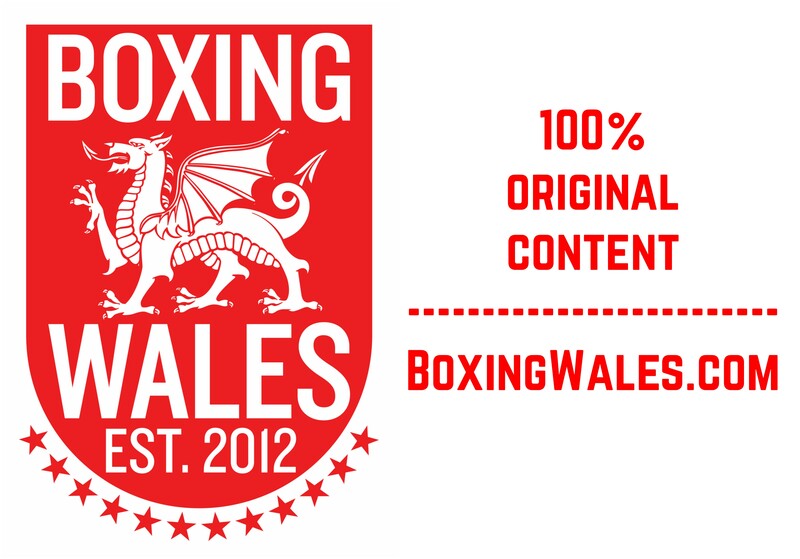 For his previous four fights, all of which were wins, Hughes has been living with his father in Llanelli and training with Gary Lockett in Cardiff Bay but they’ve been unable to link up for this camp. Explaining the situation, Hughes said, “I haven’t been down in Wales for training because I’ve had a few personal issues at home what I’ve had to sort out. It’s been tough on my training camp, to juggle personal problems but I’ve overcome them. I stayed at home to sort these problems out but I’m in good shape and I’ve spoken to Gary regular. I’ve still had a good camp up here and I’m well prepared, so that’s that.” However, Hughes has still been preparing with well respected boxing figures, training alongside two time world champion Jamie McDonnell. 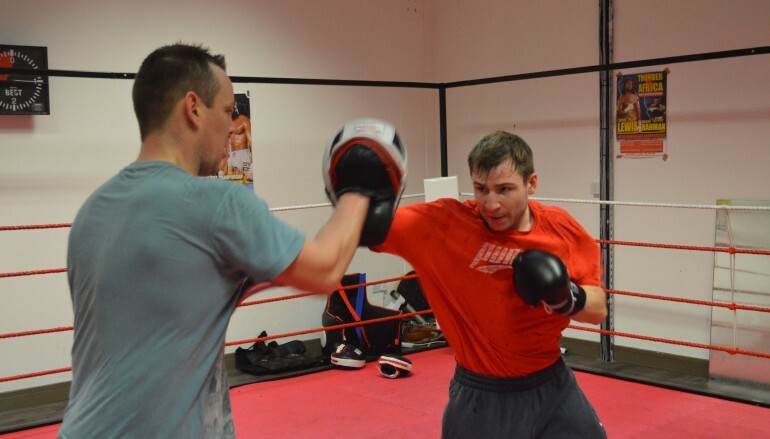 The 24-year-old has left no stone unturned having also spent time sparring world rated contender Stephen Smith, plus British and Commonwealth featherweight champion Josh Warrington and former British super-bantamweight champion Gavin McDonnell. He said, “It doesn’t get better than sparring Stephen Smith in this country, he’s number one in the division in Britain and I held my own with him. I felt a bit pressured, I was in (Joe) Gallagher’s gym, full of top lads and they were all watching the sparring. I were feeling a bit of pressure but I coped with it well and it’s a good experience for me. “Sparring in the gym is different from a fight but being in a gym like that brings pressure and it’s helped my mental preparations. I got a phone call off Gallagher after that when he thought Scott Quigg (WBA Regular super-bantamweight champion) might be fighting a southpaw, he rung me up and asked if I’m available. So, I must have done well to be asked back by Gallagher. “Testing myself is the only way I’m going to get better. If I’m down in Wales or up here (Doncaster), I’m always mixing in good company in the gym. I prefer training at a high level and it’s going to prepare me for fights.” Bet666 have priced Hughes at 4/5 to beat Avetisian, with the visitor receiving odds of 11/8. 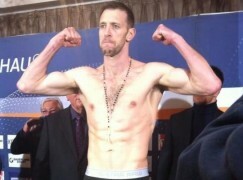 Aberdare’s Lance Sheehan (5-3, 1KO) also appears on the show, facing Fergus Taylor (5-0-1) in a six rounder. To watch it live and the whole of Coldwell Boxing’s ‘Line Of Fire’ show, subscribe to the Matchroom Boxing’s Fight Pass.